As China continues to ride out the global economic crisis while still retaining year on year GDP growth it is increasingly important to understand how this 'new' economic giant, with its communist-capitalist model operates its economic and business environments. This book is designed to scientifically examine the contextual variables that foster sustainably dynamic economic growth in China. 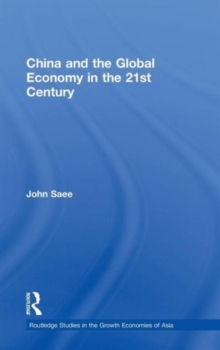 In particular, the contributors provide an incisive analysis of the contextual bases underlying such a dramatic rising economic power and the immense implications for enterprises and countries involved in dealing with China. Drawing on the latest studies and cutting edge research findings, this book analyses FDI, project management, internationalisation, the continued role of state-owned enterprises and doing business in China. As such it will be essential reading for all students of Chinese business and economics, as well as businesses seeking to develop a critical understanding of the driving global economic force which is China.